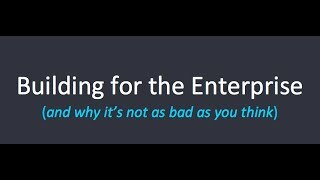 In this video Aaron gives the background and history of Box, then he speaks about the major factors that have changed in enterprise software, and finally walks through patterns that he has seen develop in the enterprise space and how to nagivate these as you build a company that caters to companies of that scale. 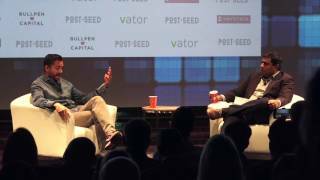 Chamath speaks about the changes coming in the Venture Capital industry. Chamath is part-owner of the Golden State Warriors and one of the sharpest minds in the business. Kevin Rose interviews Chris Sacca, Founder of Lowercase Capital. 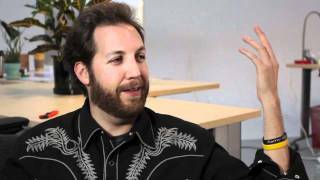 Interesting to look back at what happened to Twitter over the next few years given Sacca's position back in 2011. 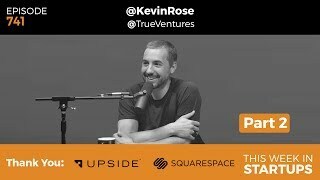 Kevin Rose is an angel investor, venture capitalist, podcaster, and serial entrepreneur best known for building companies like Digg, Revision3, and Milk. 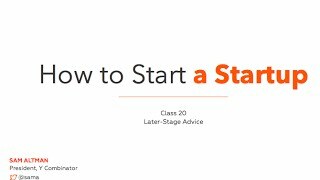 In this Part 2 episode, Jason and Kevin continue their discussion of what they look for in a startup founder and lessons learned in early stage investing. Then, they explore their favorite apps, issues around the cryptocurrency and housing markets, and theories around the political side of Zuckerberg. 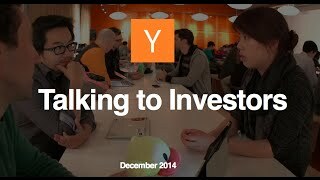 This Week in Startups is a show about entrepreneurship, investing, technology, and media. Our guest today is able to speak to all of those areas. 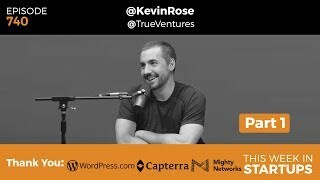 Kevin Rose is an angel investor, venture capitalist, podcaster, and serial entrepreneur best known for building companies like Digg, Revision3, and Milk. He recently moved from NY to join True Ventures as a venture partner. 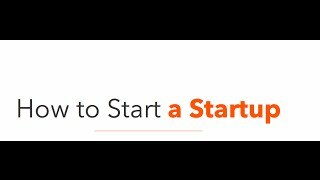 Join us as Kevin and Jason discuss what makes a good startup and a good product, how to source deals, his Oak app and the benefit of mediation for entrepreneurs, and more. 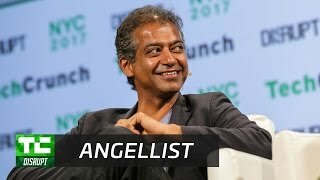 AngelList's Naval Ravikant sits down with Connie Loizos to discuss increasing access for and to investors, the Product Hunt acquisition, and potential sources of revenue. 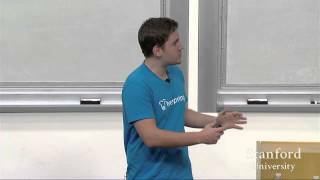 Stewart Butterfield, co-founder of Slack and Flickr, shares lessons from his entrepreneurial journey from philosophy student to creator of hugely popular platforms for sharing and communicating, and how they began as minor features embedded in online games that were otherwise flops. 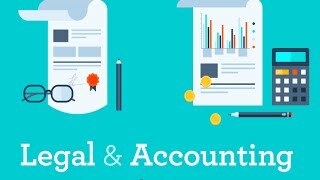 Butterfield speaks with Andrew Braccia of the venture capital firm Accel Partners. 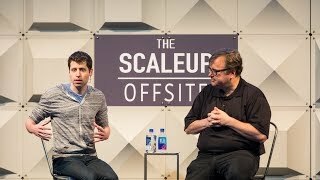 Another discussion with Sam Altman where Reid discusses the traits he looks for in founders, how to identify market opportunities and what are the conditions that facilitate rapid scaling. Derek is a prolific creator. In this discussion he walks us through the history of CD baby, which was his first business success. 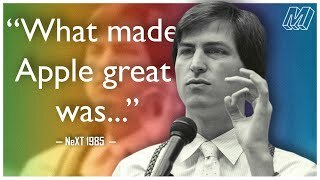 His story is on of exploration and a desire to solve problems leading to a giant business. In a sense, he stumbled his way to into a $22 Million business. This story provides a rough blueprint for those of you who have an entrepreneurial itch. Start by solving a very small problem and see where it takes you. Venkatesh is another true polymath. This discussion centers around the theme of investment with a focus on South America. He tackles the reduction of poverty, the improvement of the quality of life, the communities and what is required for a healthy ecosystem. It's an introduction to his thought be we highly recommend his weekly newsletter: Breaking Smart. 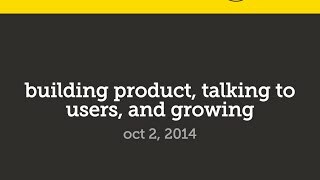 Scott Belsky co-founded Behance in 2006, and served as CEO until Adobe acquired Behance in 2012. 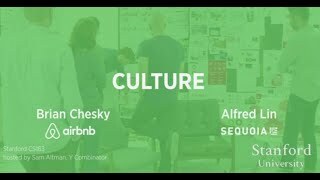 Belsky had been an early-stage investor and active advisor to companies including Uber, Warby Parker, Pinterest, Periscope and Sweetgreen. 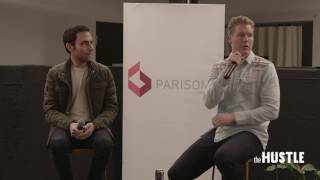 Sam Parr, founder of the Hustle sits down with Scott at our monthly Pizza & 40s event. 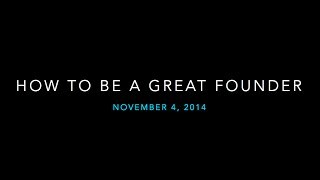 Scott shares his experiences, stories, advice and much more. 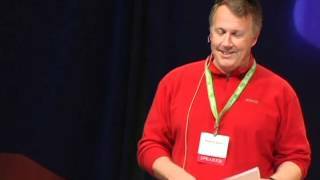 This video is from 2012 but it is a classic. In Part 2 he digs into the business of Google, Twitter, Facebook, Yahoo, his political affliations and more. 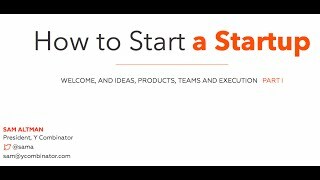 5:00 Chris, welcome to the show.<br>6:15 What is it that you do on a daily basis?<br>9:15 Chris: There's a lot of garbage getting funded today.<br>10:00 What does it mean to be a founder in your book?<br>12:15 Is fearlessness a good trait?<br>14:45 Has it become too easy to become a founder?<br>19:15 How did you wind up being an investor in companies like Facebook, Twitter and Uber?<br>20:00 Chris shares the story of how he found himself in a huge financial hole.<br>25:30 Thank you to Stamps.com for their support of the show! Everyone go to stamps.com and use the code TWIST for your free, 4-week trial.<br>28:15 Chris resumes his story of how he gambled and lost big.<br>29:45 What happens when people come to collect on the debt?<br>34:30 What was Speedera's business?<br>35:00 How did you land at Google?<br>38:15 Chris: My first angel investment was in Photobucket.<br>40:00 Is it right that you once took over on the secondary market for most Twitter shares?<br>44:30 True or false: people in the Valley tend to be like "dude, I got you,"--until the money comes in.<br>47:45 Has VC behavior gotten better or worse in the last decade?<br>50:30 Tell me about Garrett Camp of Stumbleupon.<br>51:45 Twitter, some would say, is screwing over the developers that helped build it. 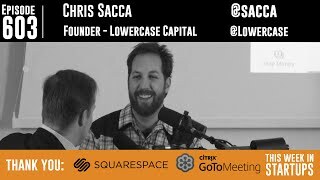 What's your take on that?<br>1:00:00 Are you slowing down on angel investing right now?<br>1:01:45 Chris reveals the existence of the fund Lowercase Stampede.<br>1:03:30 What gives you the ability to look at a new space with fresh eyes?<br>1:05:30 How did you get involved in Hollywood?<br>1:07:00 What do you think the impact of Kickstarter is on the entertainment business?<br>1:10:15 This concludes part one of Jason's interview with Chris. Party two is coming soon--stay tuned! 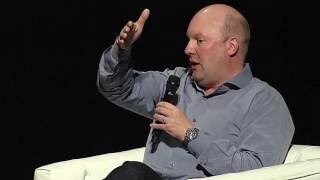 Sam Altman leads a panel Q&A on Fundraising in this lecture with Marc Andreessen, Founder of Netscape and Andreessen Horowitz, Ron Conway, Founder of SV Angel, and Parker Conrad, Founder of Zenefits. 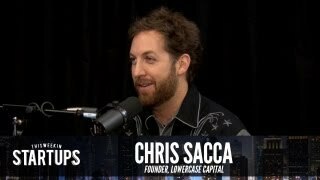 Legendary angel investor and Shark Tank star Chris Sacca returns to TWiST! 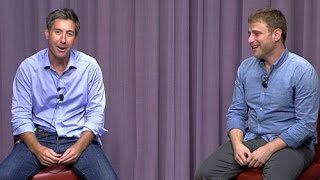 Chris and Jason sit down to discuss everything from investing in relationships to Jack Dorsey as Twitter's CEO (now and early on). He talks about what he looks for in an investment, how he met Matt Mazzeo, those early years with Twitter and selling people on the business, and how his dream job involved "a lot of being on the phone, a lot of yelling at people... high risk, high reward." Chris shares his experiences on Shark Tank, how fun it is to bust the chops (he uses a different term...) of Mark Cuban and Kevin O'Leary, and how TV could be part of the next chapter of Chris' life. 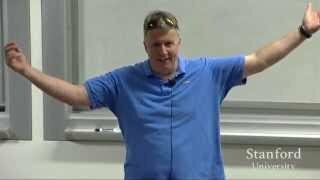 An older talk from the Y-Combinator founder Paul Graham. Graham is one of the most respected people in SV. His essays are a fantastic resource as well. 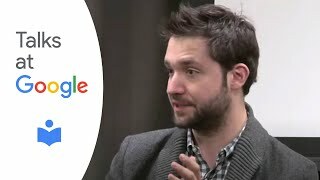 Armenian-American entrepreneur, activist and investor, Alexis Ohanian is famous for co-founding the social news website Reddit, one of the most visited websites in the world. 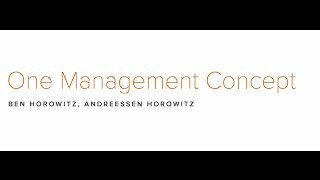 He describes the history of Reddit, how it's shaping human connection online and where the company is headed. 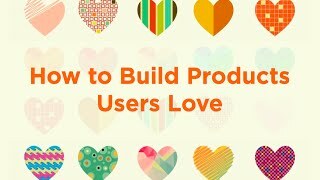 In WITHOUT THEIR PERMISSION, Alexis Ohanian shows you how to share your great ideas with an unlimited world online. 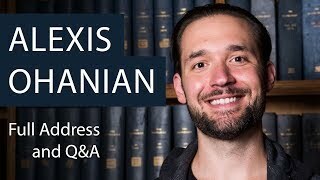 Ohanian charts a course for you to build a business, or create a following, or just expand your world and those of people you haven't even met. What you'll lean from Ohanian isn't taught in any school or in any modern curricula. If you're building a company, his story will resonate. Both entertaining and informative. Professor Todd Henderson leads an engaging discussion with Yammer Founder and CEO, David Sacks. David has been involved in the Internet space more than 10 years as an entrepreneur, executive and investor, starting with PayPal in 1999. 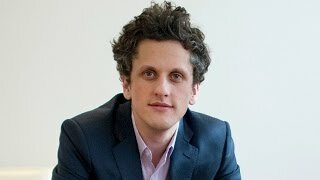 He was PayPal's chief operating officer and product leader, taking the company from startup to IPO and eventual sale to eBay for $1.5 billion. 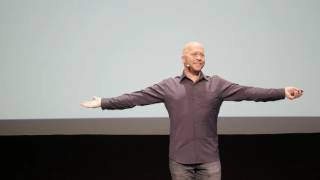 Subsequently, he founded Geni.com, a genealogy website that enables millions of family members to collaboratively build an online family tree. 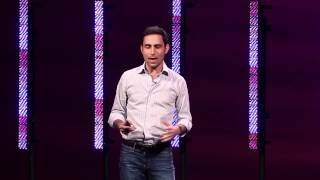 Scott Belsky: On What Are You Willing to Be Bad At? In our careers and in our work, we can only get a few things right, so we need to choose what we focus on purposefully. More importantly, we need to choose things that are different from our peers. 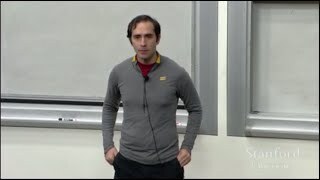 This is our competitive advantage and it is what can propel us to success.<br> In this 99U talk, Behance co-founder Scott Belsky shares how companies like Apple and Southwest Airlines use this strategy to ensure long term success. But finding your competitive advantage is only step one, the world changes quickly, and just as fast as you find your niche, you should be looking for another one. 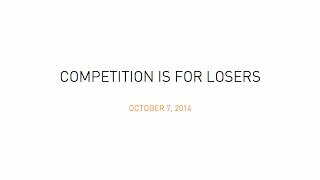 <br> Self-awareness is the only sustainable competitive advantage you can find. 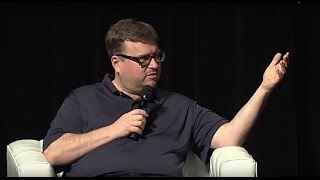 Sam Altman sits down with Reid Hoffman to talk about the key changes founders should think about as they transition from a startup to a scaleup. 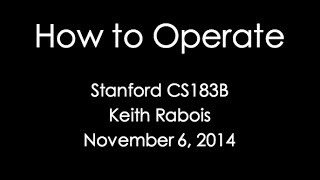 Reid is one of the best minds in the Valley and a master of scaling software businesses. 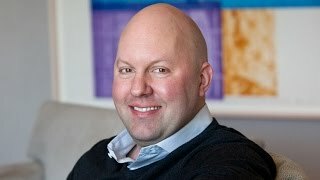 Marc Andreessen sits down with former Y Combinator COO Qasar Younis to discuss building companies, the role of a CEO, the role of VC and where he sees the future of Silion Valley and innovation. 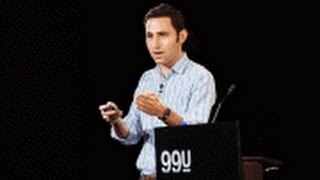 Drawing on the research in his book, "Making Ideas Happen," Behance Founder & CEO Scott Belsky will give an overview of key tips and insights for pushing ideas forward. He will touch on the three crucial components of creative execution – organization, communal forces, and leadership capability – and review a series of best practices shown to be effective across industries. 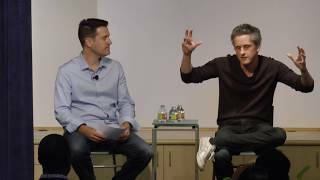 During the 2017 Product Leader Summit, Aaron Levie, Founder & CEO of Box discusses 1) The founding of Box during Aaron's sophomore year of college. 2) Mark Cuban's initial investment in the company, which led Aaron and team to drop out of college to work on the company full-time. 3) The decision to pivot from a consumer to enterprise business, while preserving consumer mindset ethos. 4) Business strategy as competitive differentiator & creating asymmetric advantages for the company. 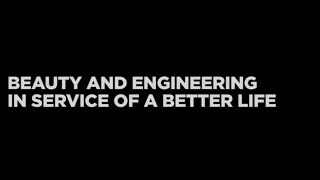 5)Solving problems for the end consumer, simpler & cheaper, than competing solutions in the market. 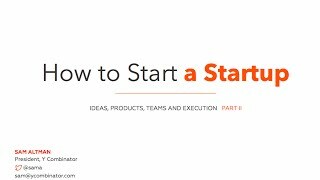 6)Following your North star and defining product strategy. 7) Being disciplined through ruthless prioritization. 8) Knowing when to listen to your customers and when to say "no". 9) The need to balance delivering predictable near term results and going after riskier longer-term bets/innovation as a public company. 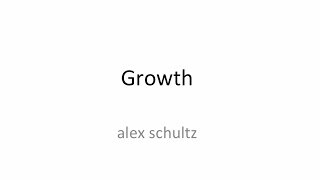 10) Having a strong conviction of where the world is going and using data to prove out whether or not you're right. 11) Making sure you have more tailwinds pushing you than headwinds working against you.